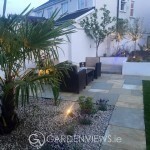 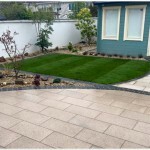 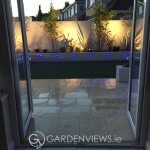 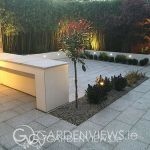 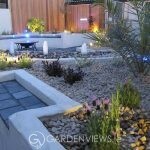 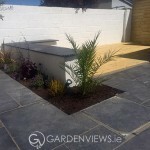 We were commissioned to turn this dark, awkward shape garden into a modern and practical space suitable for entertaining children and adults alike. 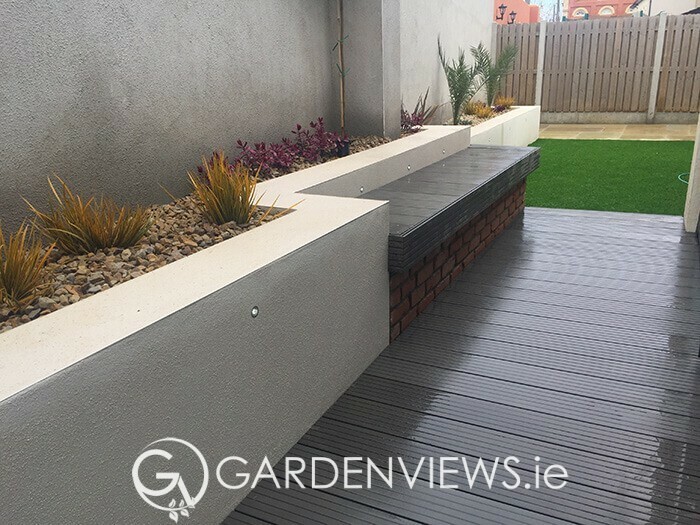 The bright rendered walls were chosen to contrast perfectly with the red brick and grey composite decking, the clients wish was mainly to keep maintenance as low as possible therefore the artificial lawn and grey composite decking suited the brief perfectly. 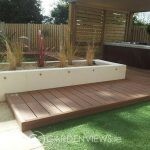 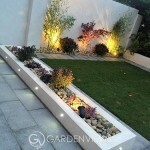 The vast majority of planting used in the raised rendered beds were evergreen , low maintenance and offered the perfect focal point against the large exterior wall.